Summer is time for lightly-salted watermelon, swimming pools, and rope swings. It's also a great opportunity to read for fun, instead of for an Accelerated Reader test or a school project. I love sharing funny stories with my kids and so I've been pondering my favorite humorous picture books. Lots of picture books are meant to entertain, but only some are clever enough to strike the funny bone of both adults and children, and to continue to do so after multiple reads. Here are some picture books I think you and your child can laugh at equally. Get ready to chuckle and let me know of any I've forgotten; we're always looking for something new to add to our collection. This 2013 Caldecott Honor recipient combines comically expressive pen and ink drawings with a story of miscommunication between father and son. Elliot reluctantly agrees to a day at the aquarium with his studious, distracted father. When Elliot asks to take a penguin home, his father agrees, mistakenly believing that Elliot means a plush version, not the real live article. Elliot and his feathered companion engage in quite a bit of mischief at home, apparently unbeknownst to Father, culminating in a laugh-out-loud ending that will surprise child and adult readers alike. A fairy-tale-like wolf greedily decides he'll fatten up his prey by leaving delicious foods on her doorstep for three nights. His target outwits him by sharing these "gifts." 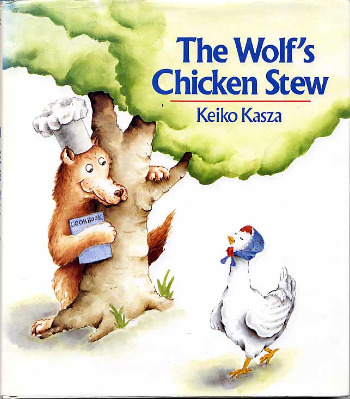 When the wolf returns to claim the future contents of his chicken stew, he meets 100 baby chicks who refer to him as "Uncle Wolf" and can't wait for him to cook up more goodies. Everyone loves a story in which the enemy gets tricked, and this one is particularly funny. 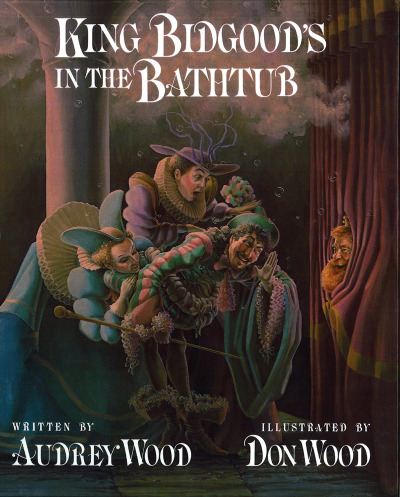 Pulitzer Prize-winning Feiffer had published cartoons for decades in the New Yorker, Village Voice, and others before creating this picture book in 1999. I think it is one of the funniest books ever published, and School Library Journal seems to agree, having named it a top picture book. Bark, George features a fabulous combination of expressive cartoon work, color choice, and a simple tale that ends hilariously. If you don't own it, you should add it to your collection immediately, regardless of your kids' ages. It's so good, it's still only available in hardcover, more than a decade after publication. That's a rare feat for a picture book, indeed. 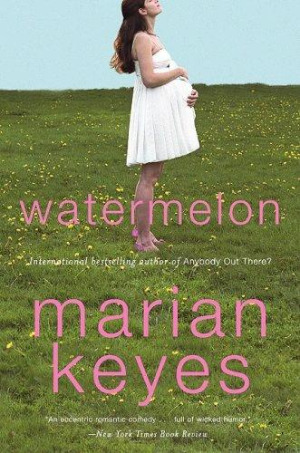 I briefly hesitated to include this title, since it appeared in a recent post, but I simply can't see leaving it off of a list of funny books. The scene in which the zookeeper's wife realizes she's sharing her bedroom with numerous zoo denizens, at the same time that the animals find out they've been caught sneaking out of the zoo, is really, really funny. And I'd encourage you to consider upgrading to a hardcover edition if you already own the board book. The larger illustrations are worth your while. If lovable, furry old Grover sends you into a state of nostalgia, take heart; your favorite Little Golden Book is still in print! And your kids will find it just as funny as you did thirty-five years ago. An interactive book long before touch screens were invented, The Monster at the End of this Book withstands the test of time in the humor department. My husband and I spend more time than conceivable being interrupted by our kids. And our kids spend even more time interrupting each other. It's annoying to the point of being laughable. Have you ever read a picture book to one of your kids for the fourteenth time, and said kid can't seem to stop skipping ahead to what comes next? Or maybe even decides to warn the characters that the big bad wolf is right around the corner? Yes? You're gonna love this book. Mo Willems is pretty much picture book gold, so not like he needs my recommendation. 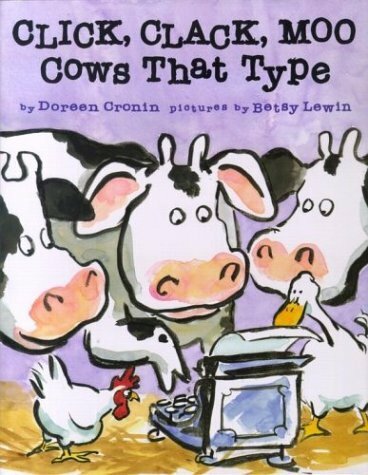 But if you've already read the Knuffle Bunny books, the Pigeon series, and the Elephant and Piggie easy readers, and you have kids ready for something directed at older children, try this one. It's dripping with irony and subtle humor, and my third and fifth graders ate it up. And speaking of fractured fairy tales (a genre that I particularly enjoy), how about a version of Red Riding Hood in which the bad guy is "dat ole gator Claude" and Petite Rouge scares him off with a bottle of hot sauce? The illustrations and dialogue are hilariously funny, and you must read this one aloud -- check out the glossary first for proper Cajun pronunciation -- to fully appreciate it. This Caldecott Honor winner, conceived by a talented husband and wife team, has long been one of my favorite read-alouds. What happens when a king refuses to leave the bathtub? And who can get him out when the queen, a knight, and the duke fail? Filled with rhythm, alliteration, and artwork that is humorously detailed, this 1985 title has aged gracefully. With every reading you'll find a funny detail you missed in the illustrations the last time around. 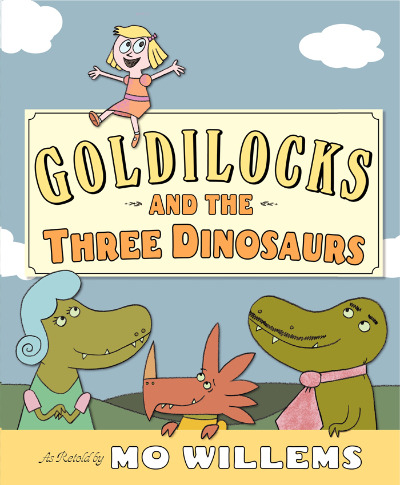 Also in the category of Oldie but Goody is pretty much anything by James Marshall, a prolific author and illustrator. Perhaps you remember the Stupids, the Cut-Ups, Miss Nelson (and her foil Viola Swamp), or one of Marshall's fairy tale renditions? Marshall was a comic genius, and George and Martha, two hippopotamus friends, are my favorite of his characters. In this title, comprised of five very short stories, George goes about playing tricks on Martha until she gets him back good at the end of the book. Marshall exercises his trademark skill of mixing sophisticated, dry humor hidden in deceptively simple text with cartoon drawings. Again, the hallmark of a great picture book is that it can be enjoyed by adults just as much as children. This one absolutely passes that test. Understated humor is so much fun, and this Caldecott Honor winner hits that nail squarely on the head. Farmer Brown's cows get hold of a typewriter and mayhem ensues when they go on milking strike, demanding electric blankets to make the cold barn more comfortable at night. When the hens and ducks join in, Farmer Brown loses complete control. Anyone who's ever been the underdog will enjoy this hilarious story of comeuppance. 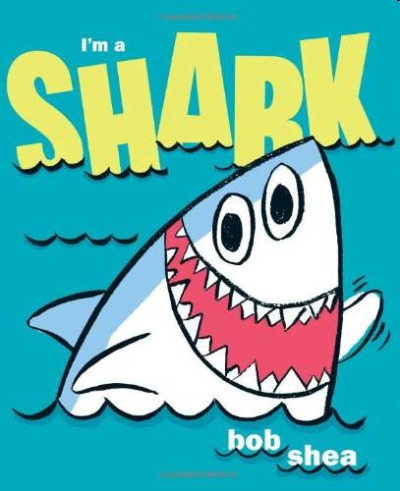 Bob Shea's large, loud artwork brings his boastful shark to life. Shark's not scared of anything! (Except maybe spiders.) Hidden in this gem is a reassuring message that things aren't always what they seem; in this case, tough guys (like sharks) have fears too. 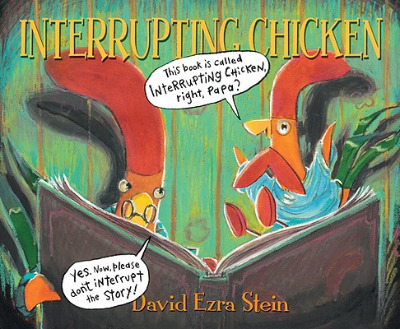 It makes for a very funny, energetic read aloud with a subtly executed, welcome message. Now, go forth this summer and laugh, together! Enjoying comical picture books at bedtime is some of the most worthwhile time I've spent with my littles. From good books are great memories made.